Internal Security organization boss Col Frank Kaka Bagyenda has said he is more than ready to crush and destroy anyone who will or planning to move subject Ugandans to politics of fear, intimidation, and sectarianism. According to Kaka some sections of politicians in opposition led by Kizza Besigye has been backing and sponsoring terror and criminal groups. He named politicians like Muwanga Kivumbi , Ingrid Turinawe, and Besigye as the brain behind formation of Kifeesi groups which he said they formed to cause instability in the country but later after failing to sustain them financially they ‘Kifeesi ‘ ended up in engaging in criminality as a means of looking for a living. 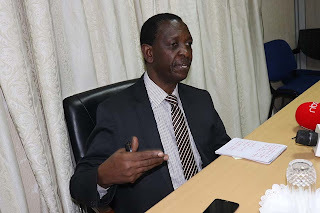 Kaka further added that the opposition Kifeesi ended up becoming a force hired in town by spare part dealers, .land grabbers and ADF terrorist groups. “There is no smoke without fire. Why did people come up to pin them on backing crime? We are saying they must change there long ago politics ‘ kaka said. Kaka said after unmasking them, oppositions resorted to attacking the agency so as to hide their subversive activities stating that the agency is ready to deal with them. 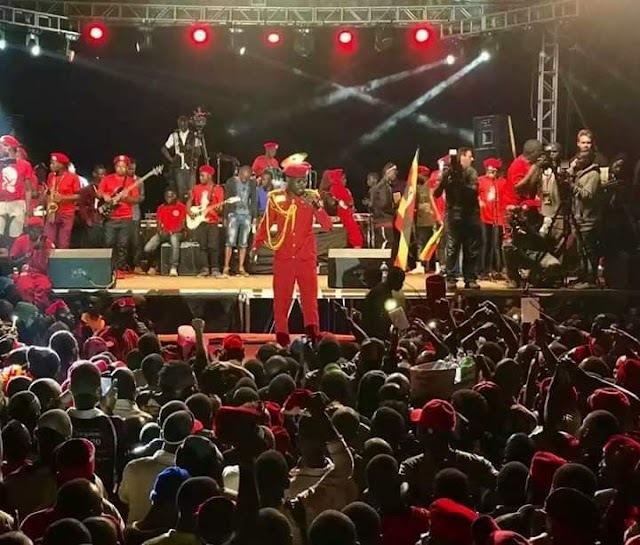 Kaka added that, the reduction in protests in Uganda is because they have unmasked them warning that he take hard actions against the radical opposition groups. ‘Why do you think riots and protests have reduced? Just wait and see if they don’t change then change will force them to change’ added Kaka..
Kaka also asked Besigye and the opposition to learn the politics of Amama Mbabazi , Gen Biraro , and Abed Bwanika whom he said their politics is mature enough not like Besigye who is always moving with faded fanatical politics. "Why don't you think Amama Mbabazi, General Biraro and Abed Bwanika are always not making noise like them? it is because they know mature politics" Kaka said. Last week Col Frank Kaka Bagyenda was on spotlight for parading suspects before the media who confessed to be working with opposition FDC to cause chaos in Uganda. His move was criticised by oppositions calling it unprofessional behaviour.